Kalpakkam is mostly famous for its nuclear plants and affiliated research installations. These include the Madras Atomic Power Station (MAPS), one of India's nuclear power plants, Indira Gandhi Centre for Atomic Research (IGCAR), and Bhabha Atomic Research Center, an affiliate of the Department of Atomic Energy (DAE). The tsunami caused by the 2004 Indian Ocean earthquake generated widespread damage and resulted in 200 deaths in and around Kalpakkam. There is a tsunami memorial having a white oval plaque engraved with the names of 39 people who lost their lives in the tsunami. Until a few years ago, the beach at Kalpakkam used to be lined with casuarina trees and only a few weeds. Nowadays, to avoid the widespread damage in case of a tsunami again, weed growth is starting to dominate, which the locals are fighting to keep in check. Also, a tsunami wall has been built across the seashore in case of another tsunami. The relatively calm waters are free of sharks. Kalpakkam is also very close to Mamallapuram – one of the famous tourist destinations near Chennai. The environment within the township has been maintained for over 30 years. The township contains numerous trees and various parks, and various outlets for recreation, including tennis courts, music, dance, swimming academies and other sport activities. NESCO (Nuclear Employee Sports and Cultural Organisation), previously KRC (Kalpakkam Recreation Centre) is governed by an elected employee council. It offers various facilities for members: Movies, Basketball, Volleyball, Football, Badminton, Carrom, Chess, Table Tennis and a Gym. There is also a tennis court and Swimming pool where competitions are held annually. There are only a few hotels available such as BEMS Hotel near Central Bus stand, Ammavin Adupangarai , Arusuvai Virundhu and Arabian garden in ECR. There is also a new cafe named Icecap for cold drinks and chat items. Recently a few new hotels named Sahara Restaurant, Manna Restaurant etc. are opened in ECR Road which is only a kilometer away from ECR Bus stand. You can get North Indian food in Sahara Hotel. The township is well connected by road and TNSTC operates buses from Chennai, Pondicherry, Bangalore, Coimbatore, Trichy, Nagercoil, Tirupathi, Vellore, Tiruvannamalai Chittoor, Tindivanam and Kanchipuram. 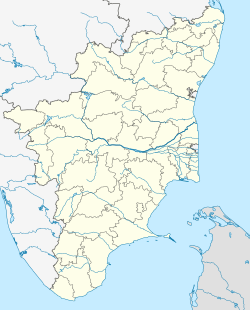 The East Coast Road connecting Chennai and Pondicherry passes through Pudupattinam. 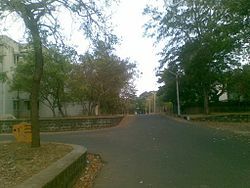 Wikimedia Commons has media related to Kalpakkam. This page was last edited on 16 March 2019, at 16:03 (UTC).